Lindon | Wheeler Machinery Co. Heavy equipment for sale in Lindon, Utah, from Wheeler Machinery Co., is your best bet when you need new, used or rental options, or if you require parts and services. As a certified Cat® dealer, we construct partnerships over time and create personalized solutions for every client. Whether you are in the power generation, mining, landscaping, agricultural or construction industry, Wheeler experts help boost your bottom line, prevent failures, upturn profitability and increase efficiency for your operation. Wheeler provides Cat equipment in Lindon, Utah, if you’re looking to advance the versatility of your fleet. From crushing and screening equipment to power generation, air compressors, attachments and heavy machinery, Caterpillar® offers exceptional products. 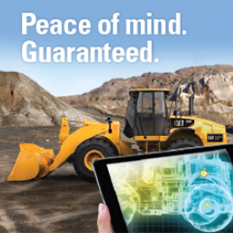 Cat is the heavy equipment leader that manufactures fuel-efficient, reliable and durable engines. With superior performance features, Cat equipment can improve your company’s bottom line. 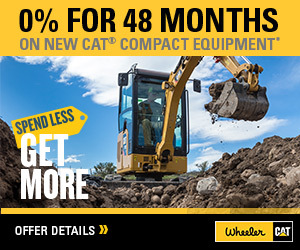 Sometimes buying new equipment isn’t the right step for your business, so Wheeler provides Cat-certified used machines that give you optimal solutions and help you remain efficient. 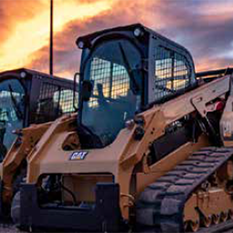 Along with a manufacturer’s warranty, extended coverage and equipment maintenance history, we also maintain each piece of equipment with Genuine Cat parts. Our certified technicians inspect up to 140 areas to ensure excellent condition by using advanced technology for accuracy. Because our professionals have superior knowledge of Cat equipment, we can provide unequaled product support in categories such as power systems, agricultural equipment, attachments and heavy machinery. Equipment rental in Lindon, Utah, is ideal if you need a machine for a one-time project or if another is experiencing repairs. Renting is also a viable option when you need a specific piece for a short time or if you’re testing out an engine before buying new or used. At Wheeler, we provide trustworthy construction rentals with a full line of mid-sized and small Cat equipment as well as other manufacturers. As a full-service rental dealership, we support every industry with top-quality equipment to maximize your productivity and even give you access to tools and attachments. Our technicians perform necessary maintenance, and we also offer emergency support. Our professionals also provide equipment transport and service any make or model of equipment. We determine the problem, make repairs and test the machine before giving it back. Wheeler Machinery Co. in Lindon, Utah, is near the North Utah Animal Shelter, BetterBody Foods and Pugs Gear. Our client relationships extend past your purchase as we partner with you to determine a tailored solution to your situation. Visit us at our Lindon location, call us at 801-796-8333or contact us online for more details about our equipment and services. You can also reach out to your local sales representative online.